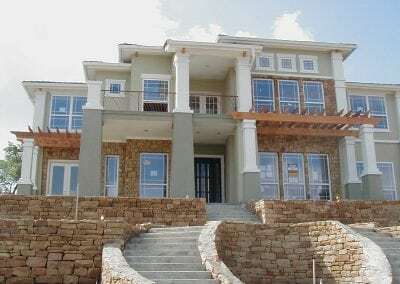 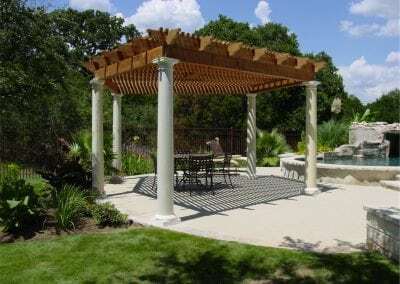 Design options for pergolas are limitless, while this is a big part of their appeal it can be a source of frustration for you when trying to decide on the perfect combination of functionality and decorative design. 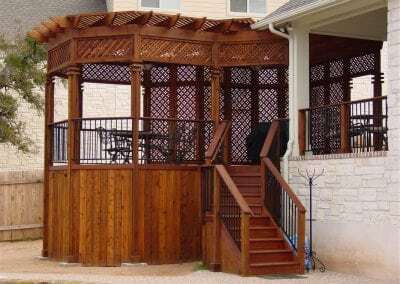 When deciding on design features utilize resources such as design magazines, internet search, as well as our own Pergola gallery. Besides choosing the design elements, there are also several choices when it comes to materials. 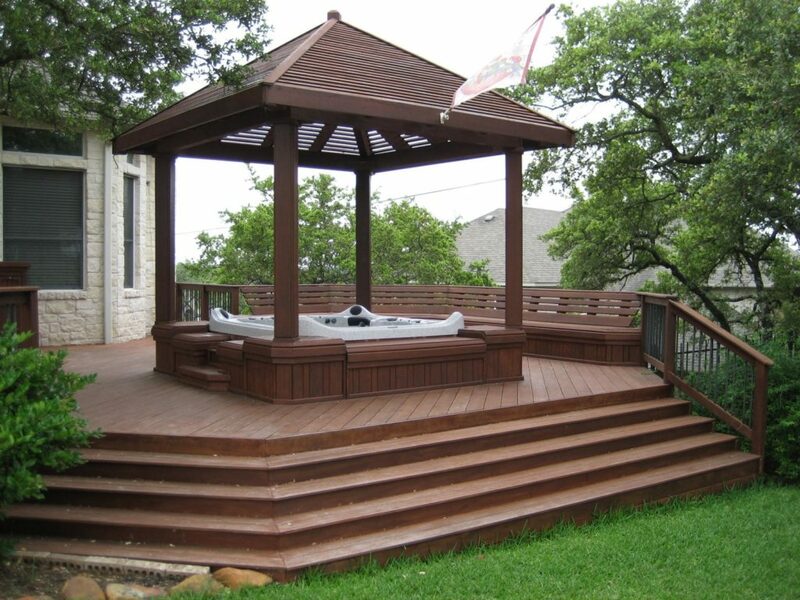 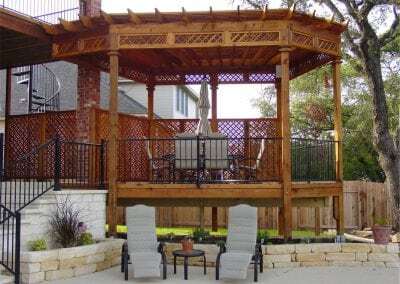 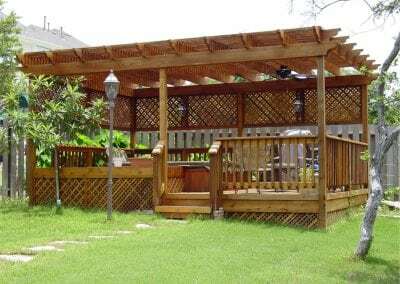 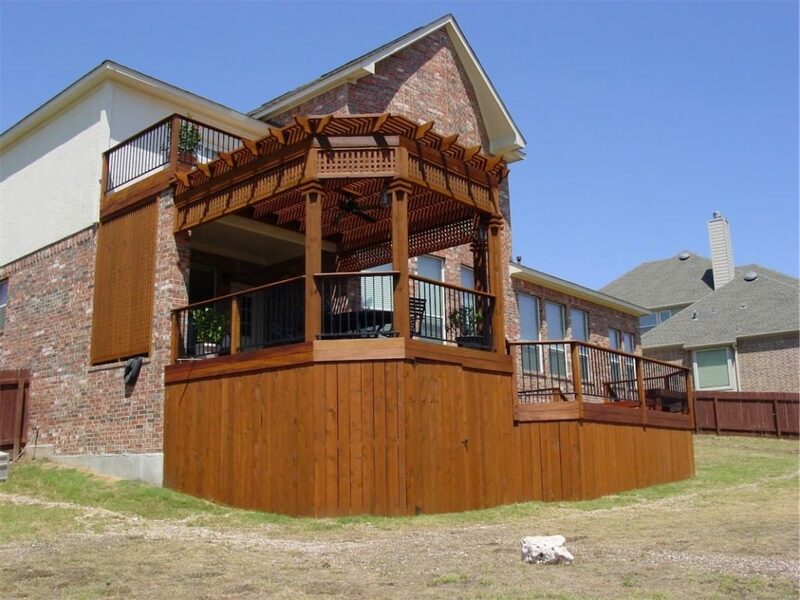 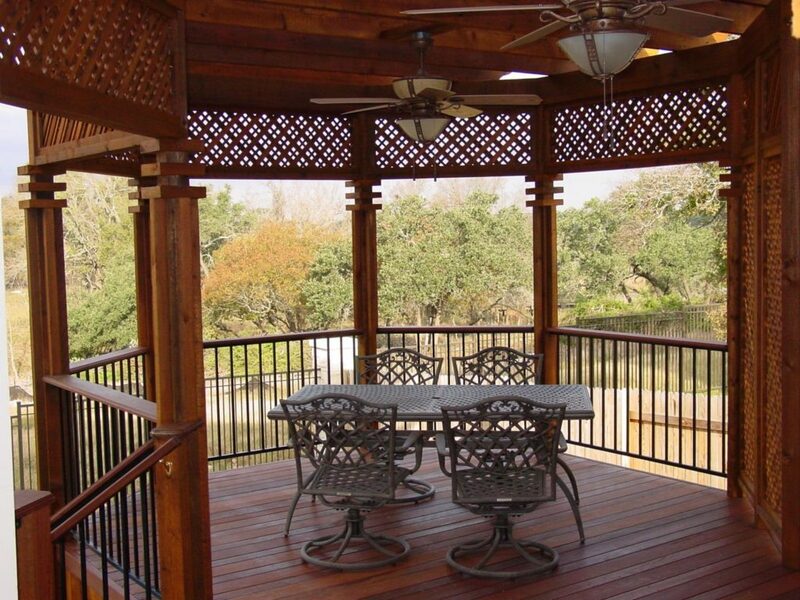 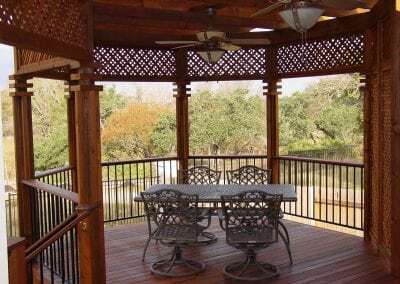 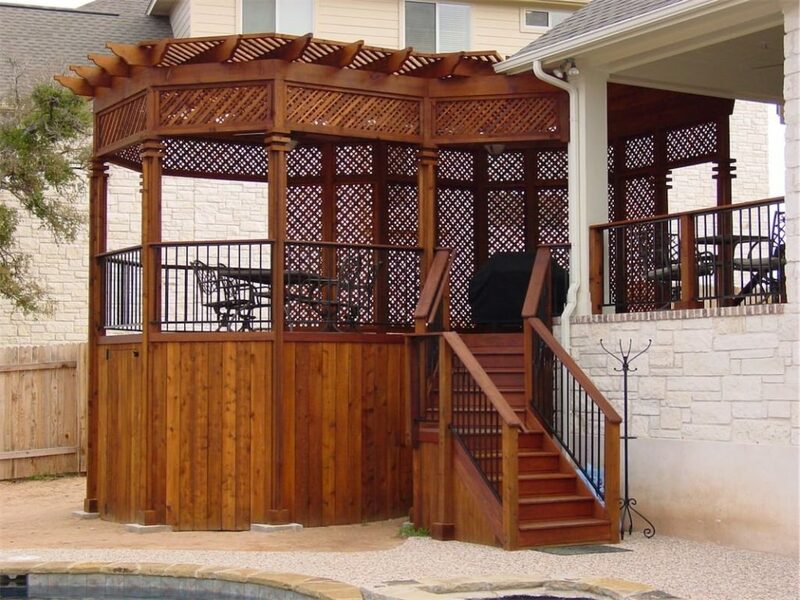 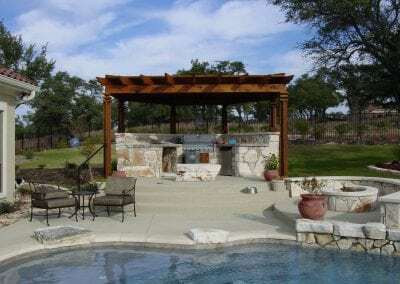 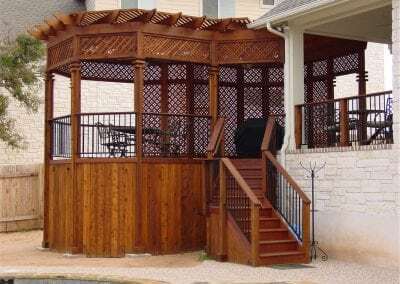 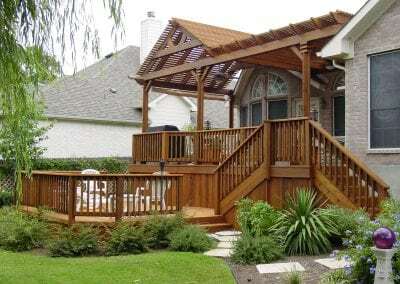 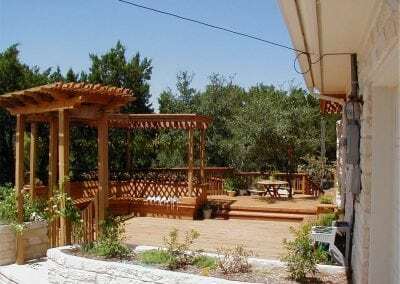 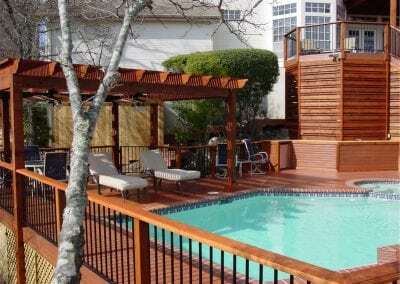 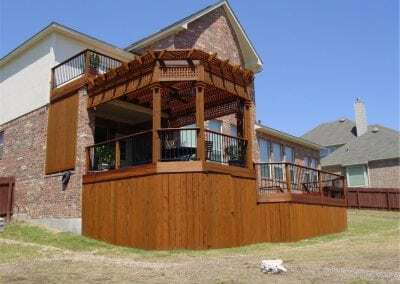 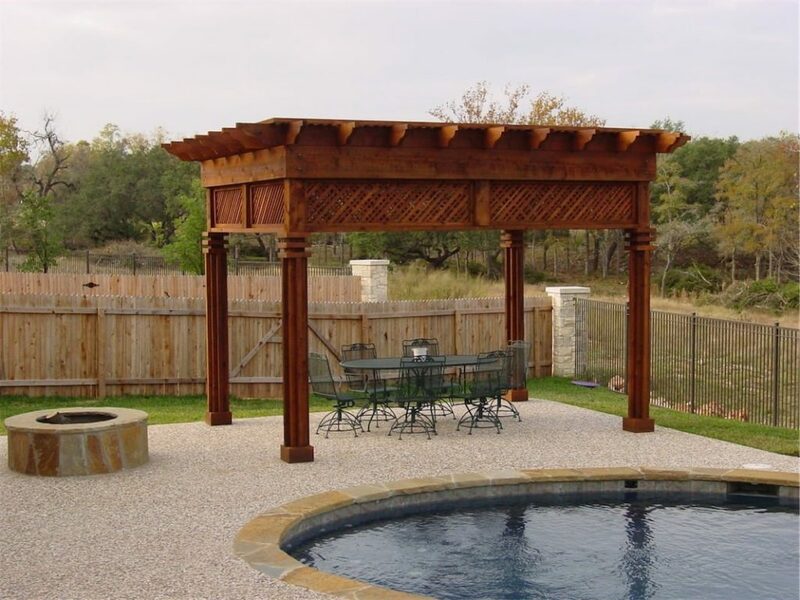 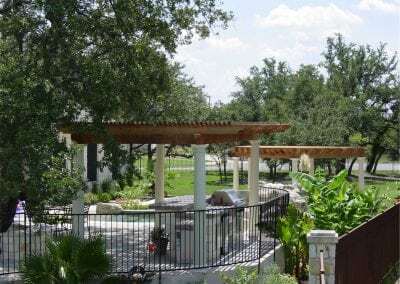 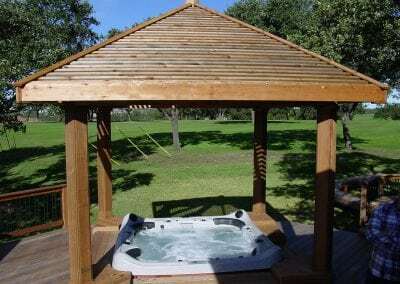 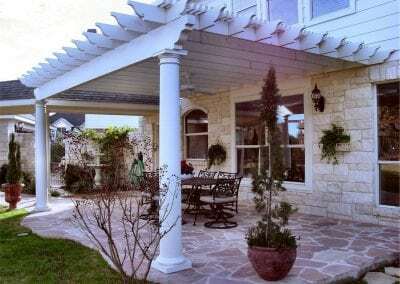 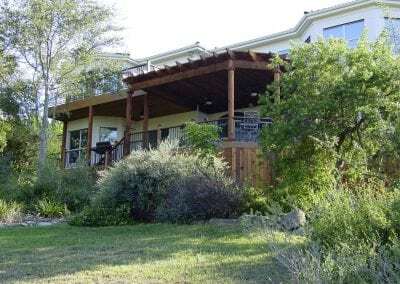 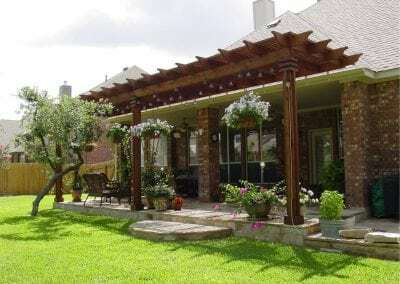 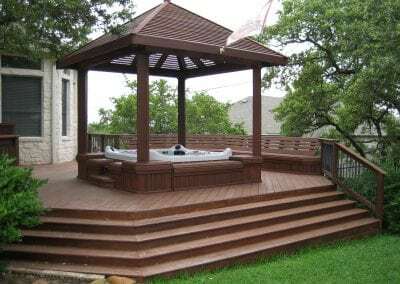 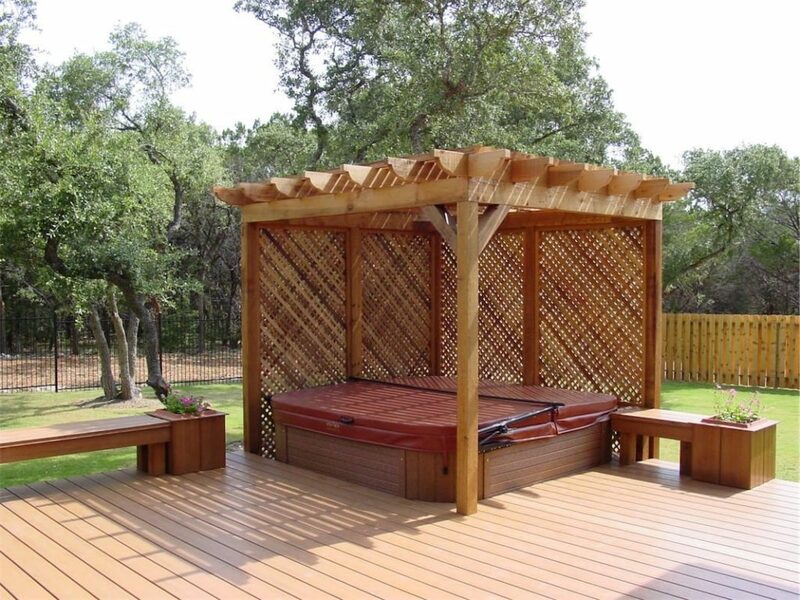 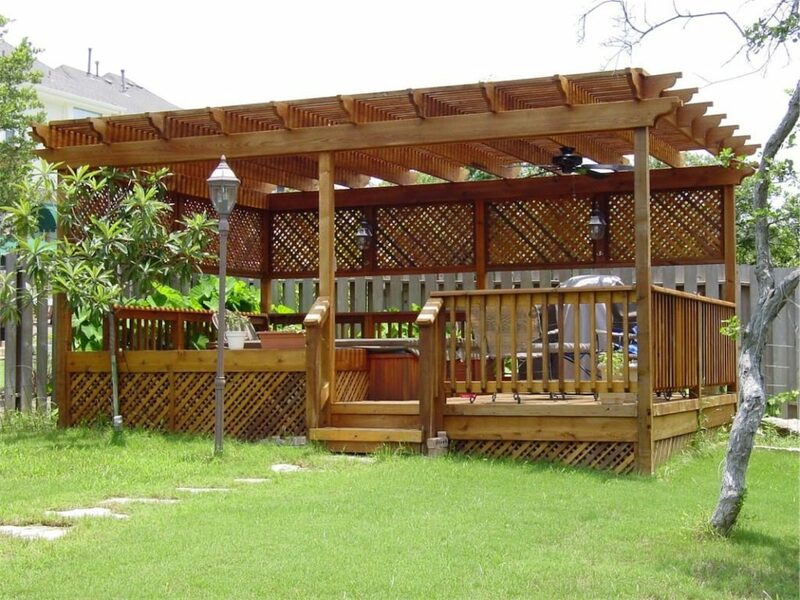 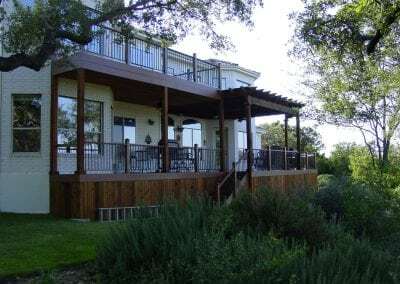 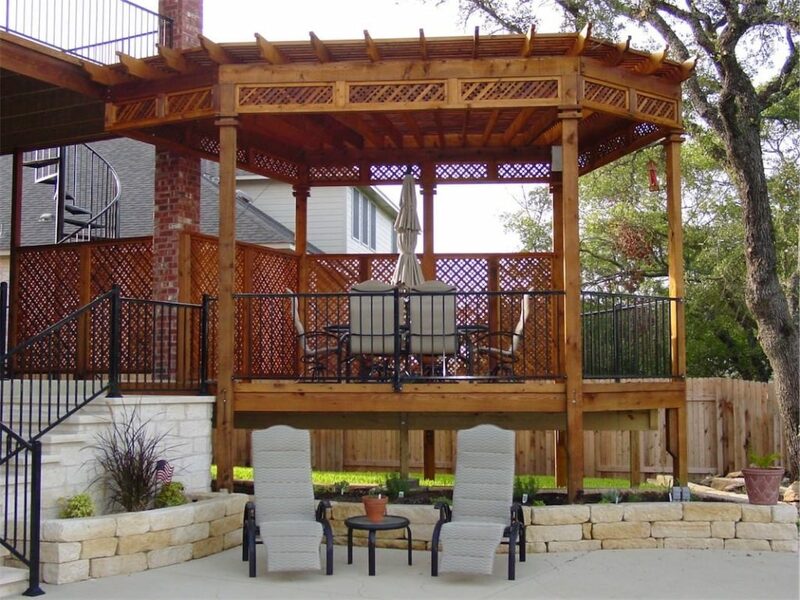 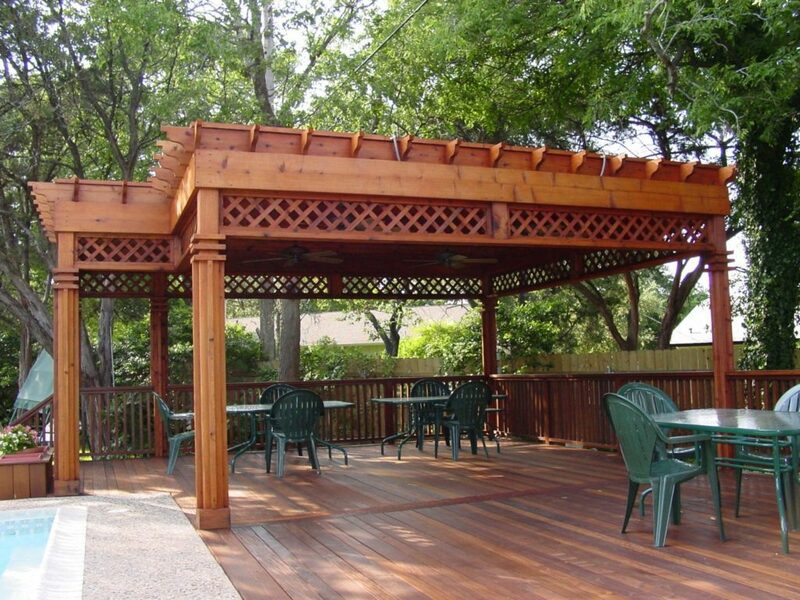 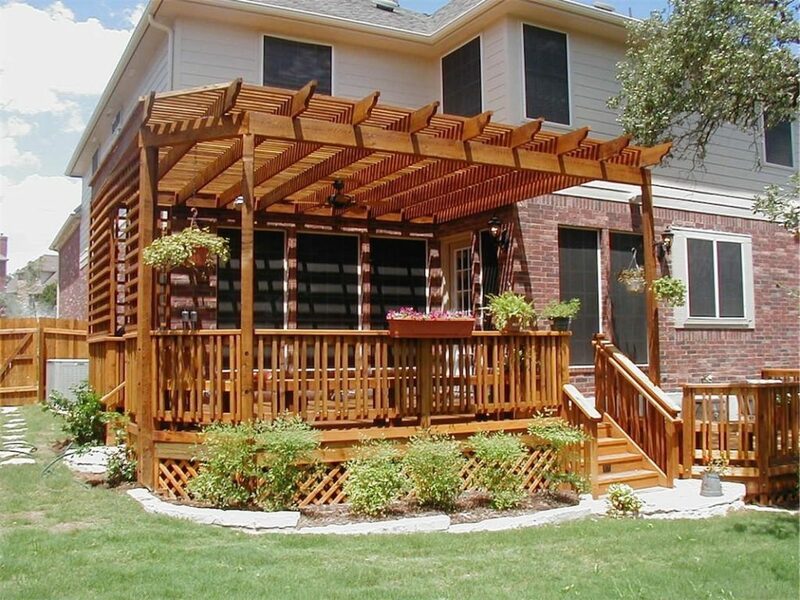 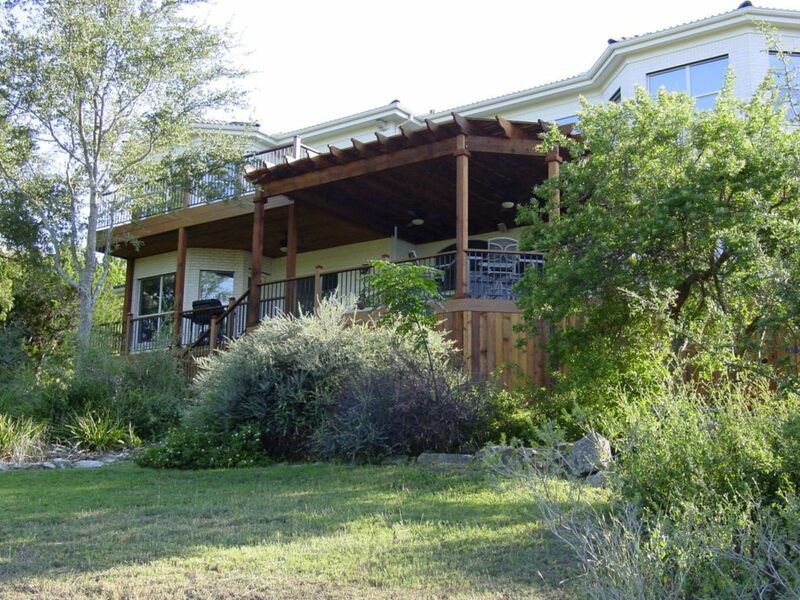 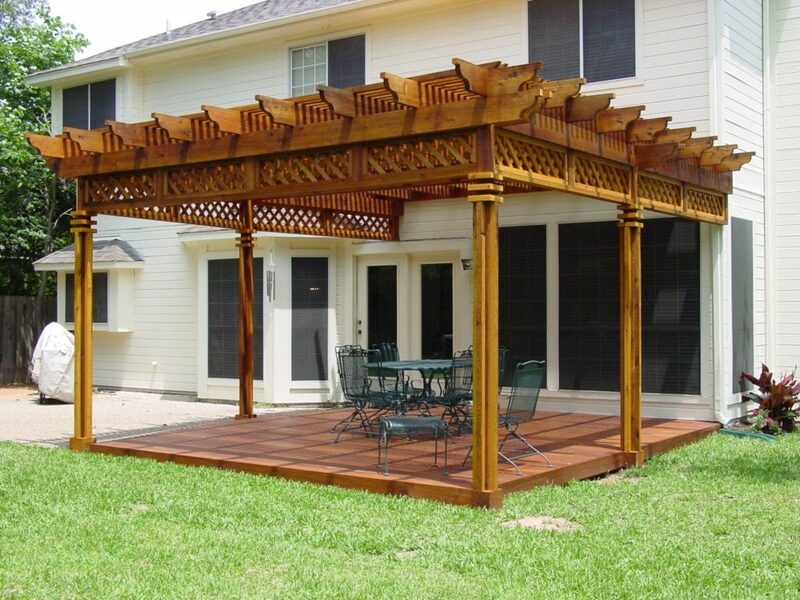 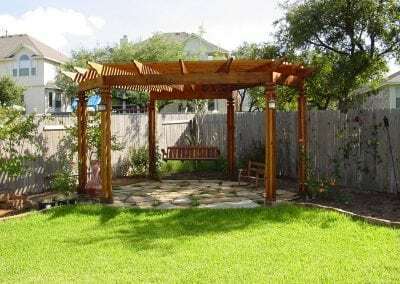 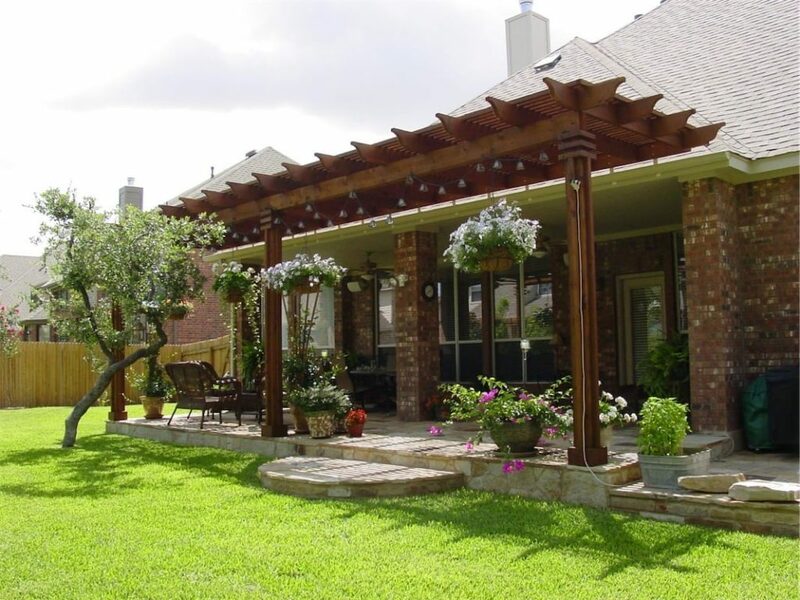 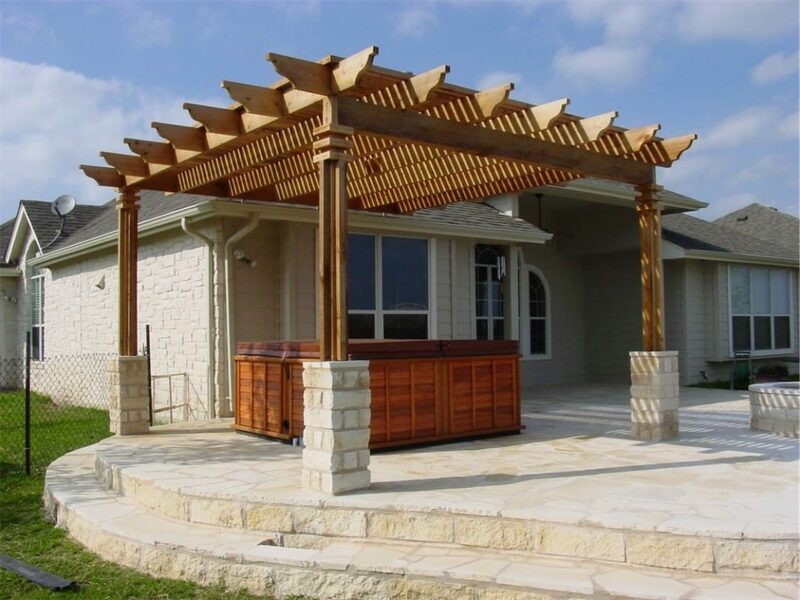 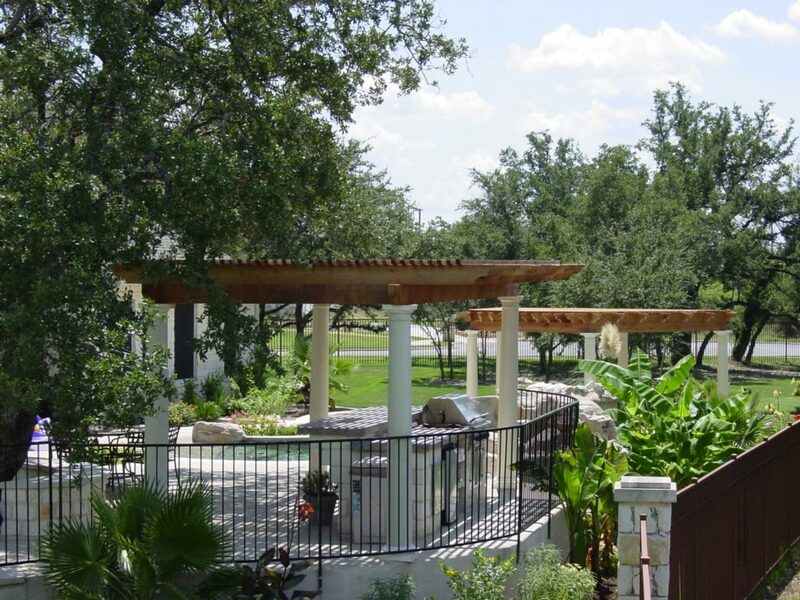 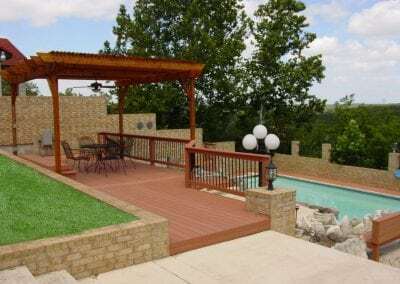 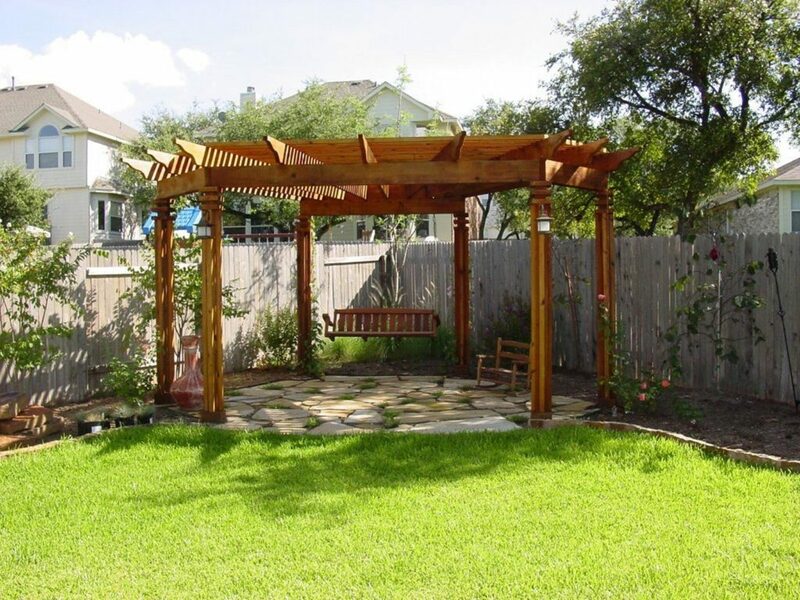 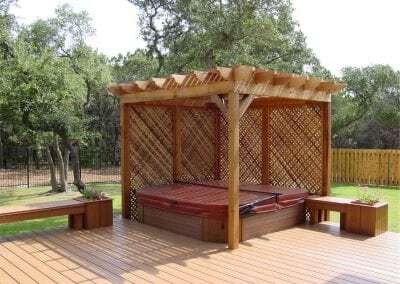 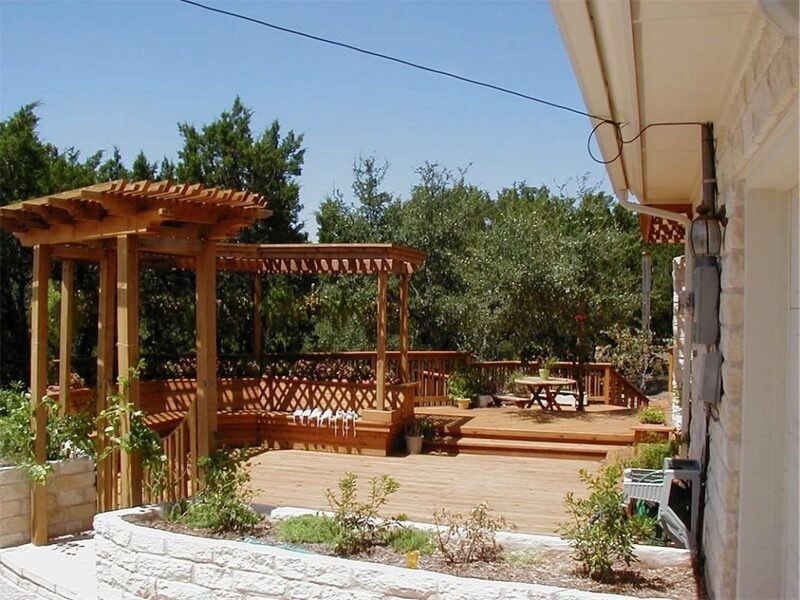 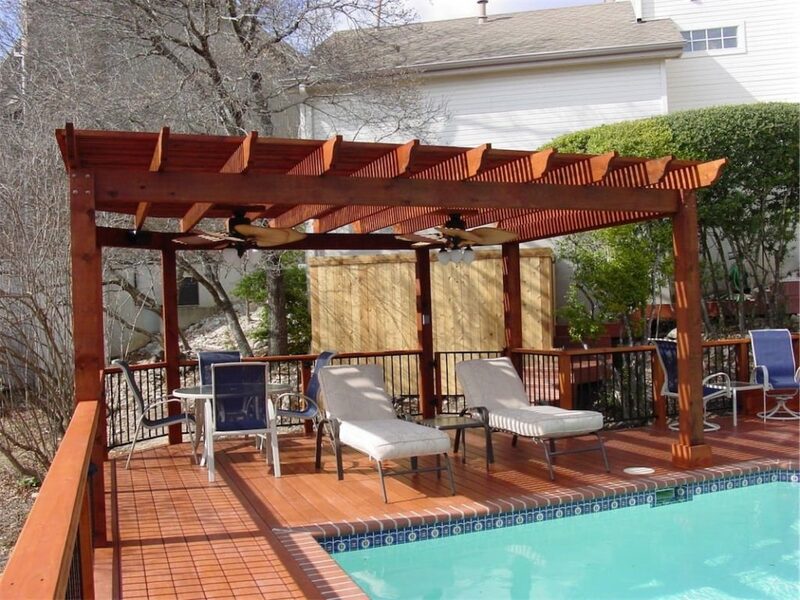 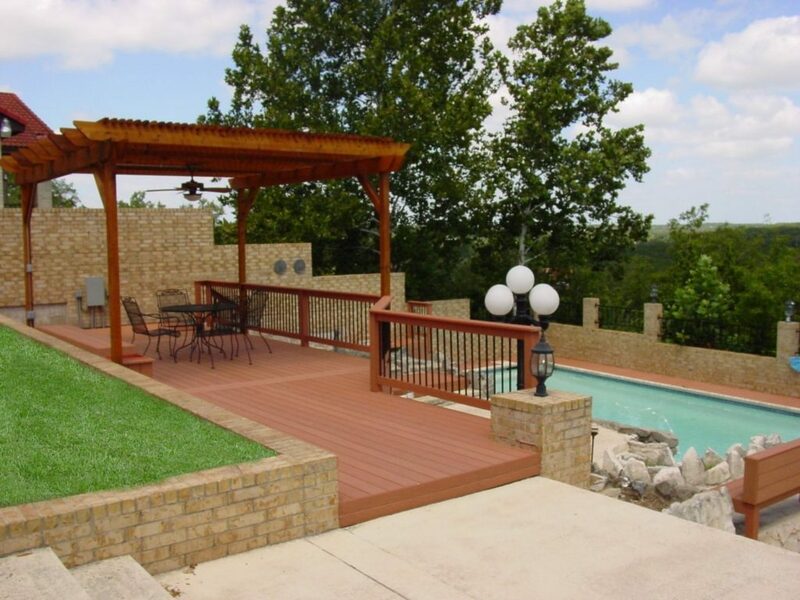 The most popular material choice for pergolas in the central Texas area is western red cedar. 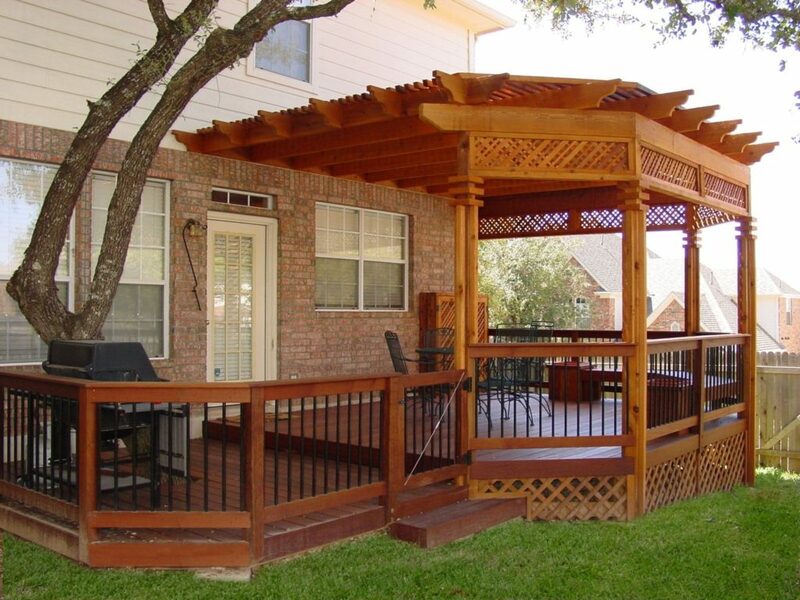 Western red cedar is naturally insect and rot resistant and offers the natural and rustic look of real wood. 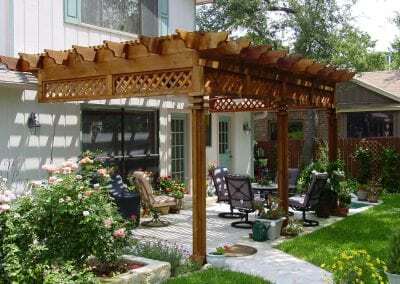 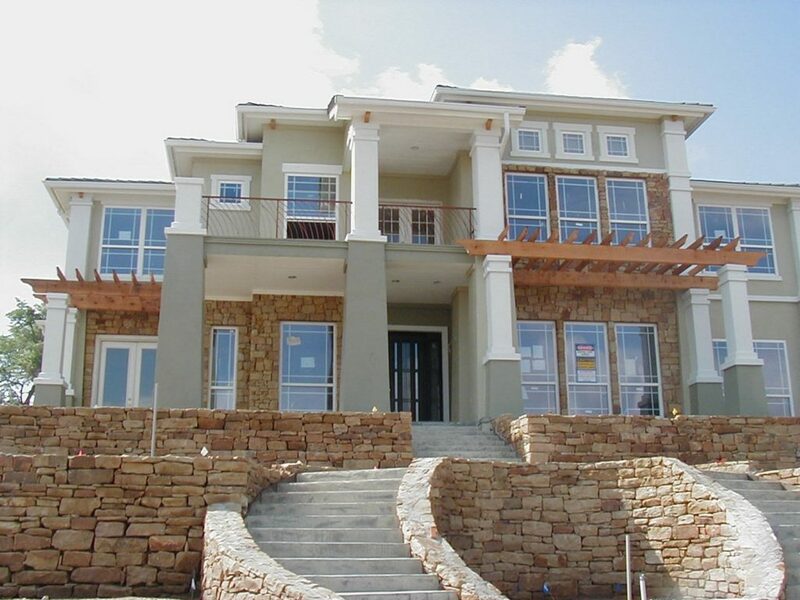 Other choices of material include the maintenance free durability of aluminum pergolas. This choice offers freedom from the staining and maintenance of wood, but are limited to factory defined colors and profiles. 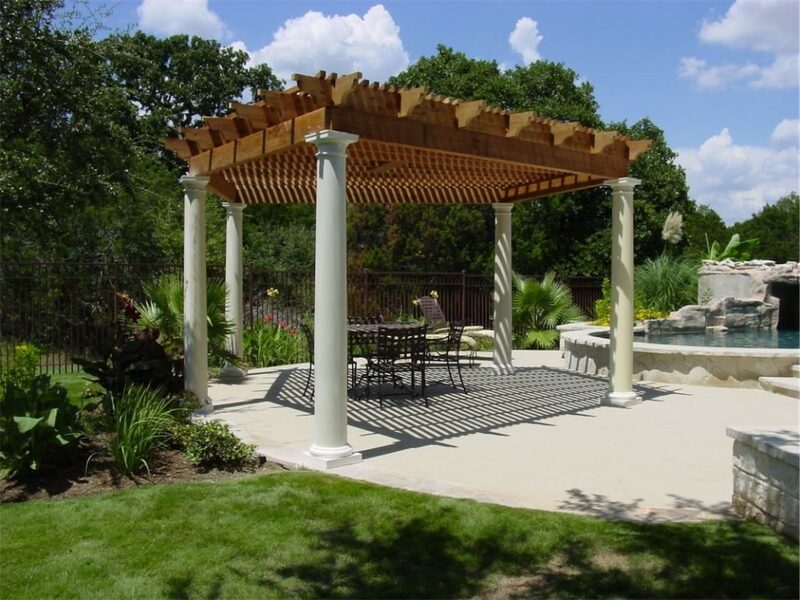 Thinking beyond the pergola you will want to decide exactly how you want to use your new outdoor living space. 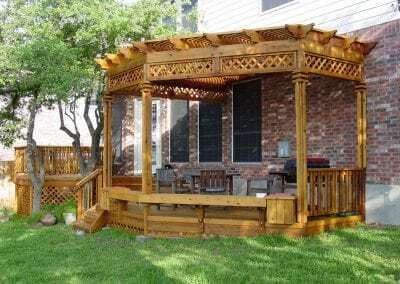 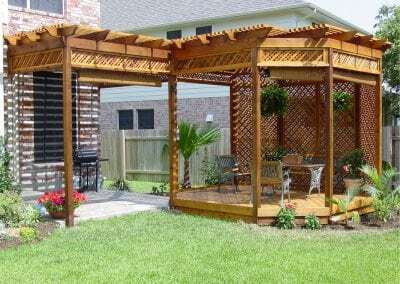 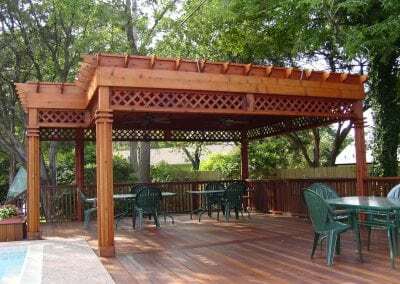 Tables, chairs, lounges, and flower pots are just a few of the furnishings that you could plan to use under your new pergola. 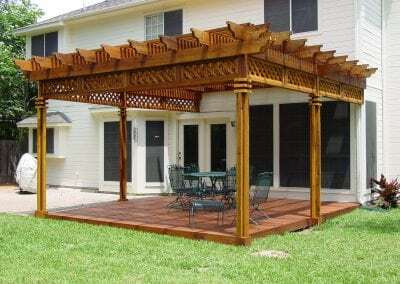 When making furniture choices speak with your designer about weather proofing options for your pergola. A clear roof covering, such as Polygal, can maintain the look and feel of the open air pergola while providing protection from the rain and elements, or, a shade cloth. 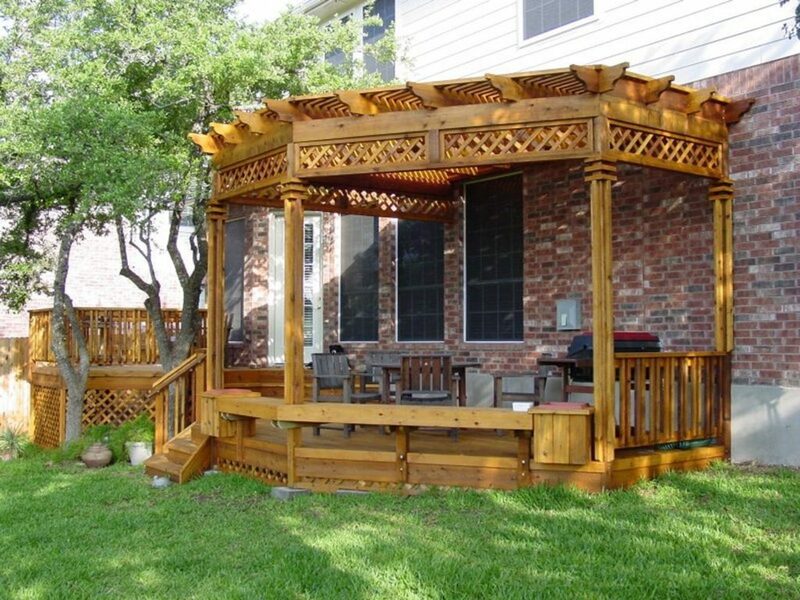 In turn, this additional protection can give you more furniture options. 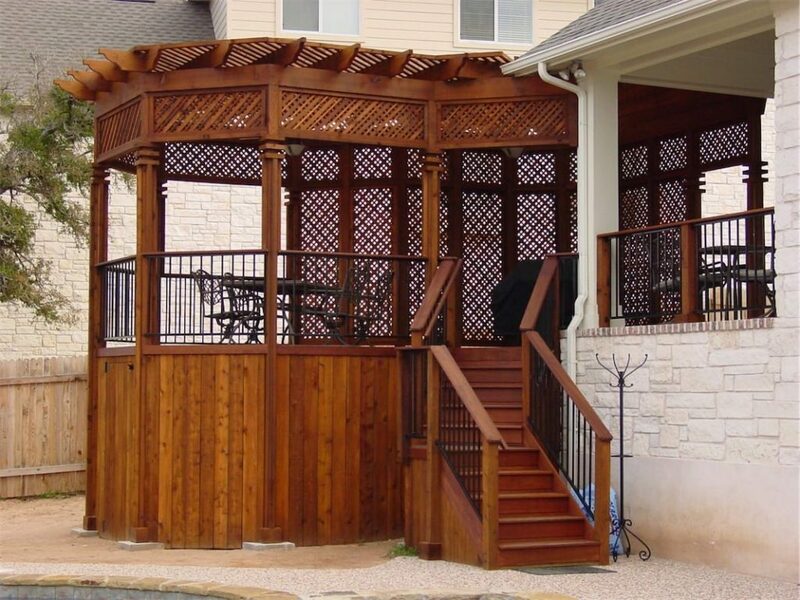 Incorporating furniture choices into the design of your pergola will ultimately result in a more well-rounded and better suited living space. There are so many things that can be done to transform the look of pergolas. 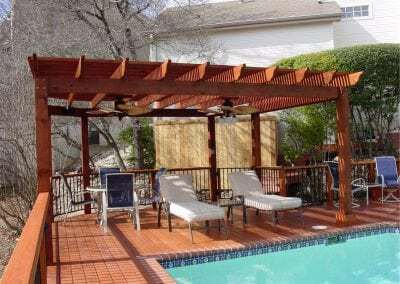 For instance, adding custom trim to the support posts, lattice drops from the beam line for extra shade, outriggers on the side line rafter and many more. 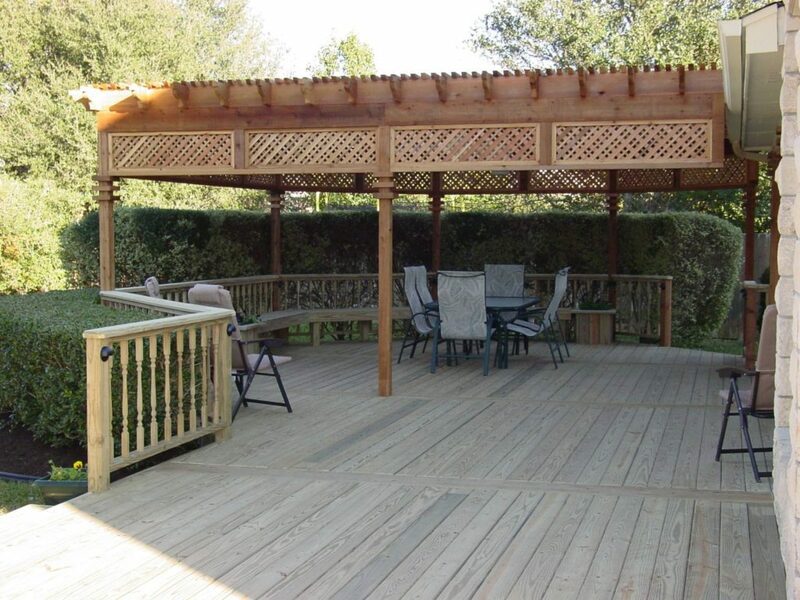 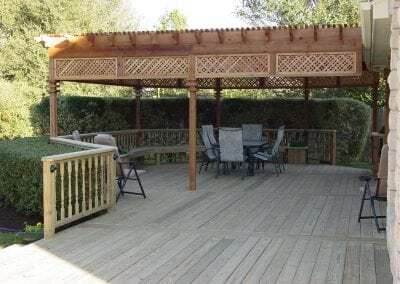 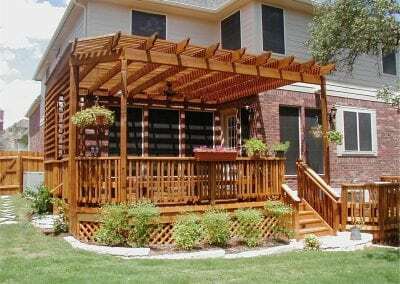 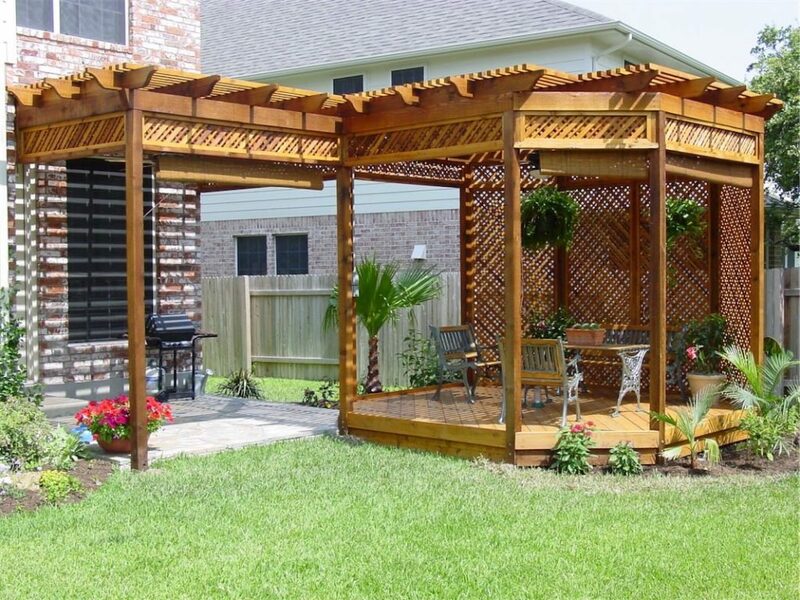 A well thought out and designed pergola can be a truly great living investment in your home. 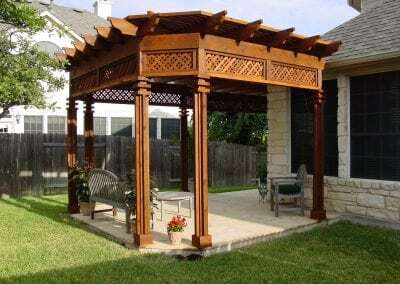 Whether it is a place to escape and find peace or a place to come together with friends and family, a pergola can be so much more than a pile of sticks. 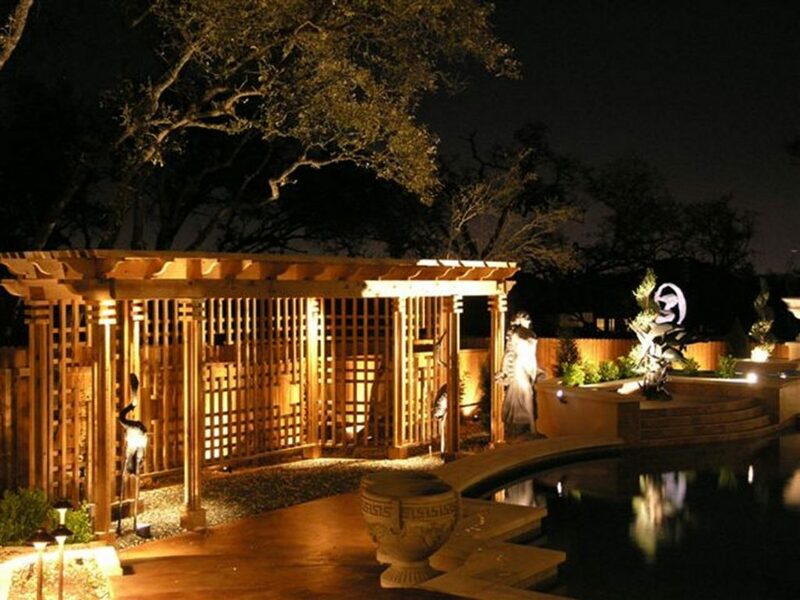 Our designers take great pride in working with you to help discover the ultimate living space in your backyard.